THE SECRET CHORD provides new context for some of the best-known episodes of David's life while also focusing on others, even more remarkable and emotionally intense, that have been neglected. We see David through the eyes of those who love him or fear him -- from the prophet Natan, voice of his conscience, to his wives Mikhal, Avigail, and Batsheva, and finally to Solomon, the late-born son who redeems his Lear-like old age. 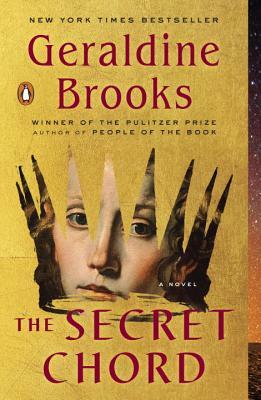 Brooks has an uncanny ability to hear and transform characters from history, and this beautifully written, unvarnished saga of faith, desire, family, ambition, betrayal, and power will enthrall her many fans.